Introducing the Heart Palette, a limited edition bronzing powder duo for an illuminating, sun-touched complexion with a subtle glow. 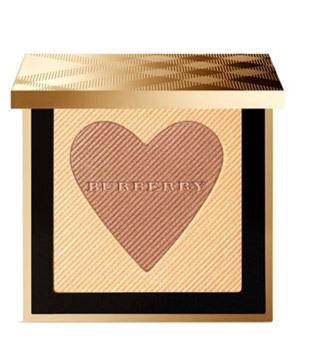 Celebrating playful prints from Burberry scarves, the bronzer and highlighter powder is set in an embossed heart pattern. The bronzing powder enhances the complexion with a warming glow, while the highlighter subtly illuminates the face. The two shades can be applied separately or blended together for a customisable finish.